HOW DO ACTORS FUSE THOUGHT, EMOTION and ACTION WITHIN THEIR CREATIVE PROCESS? Essential Acting is an inspired and reliable toolbox for actors and teachers in the classroom, the rehearsal room and the workshop. 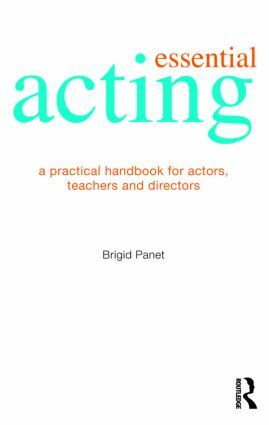 RADA’s Brigid Panet has distilled 50 years of acting, directing and actor training into a unique recipe which brilliantly combines the teachings of Stanislavski and Laban into an invaluable practical resource. Essential Acting will be a must-have purchase for anyone looking for a comprehensive study guide to the necessary work of the actor.